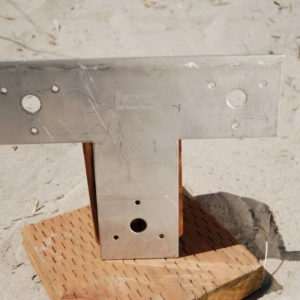 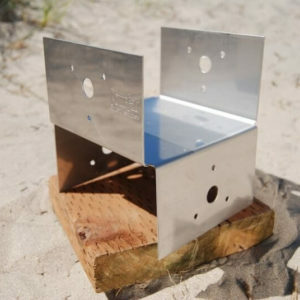 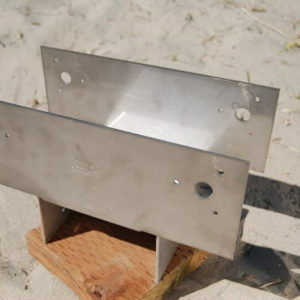 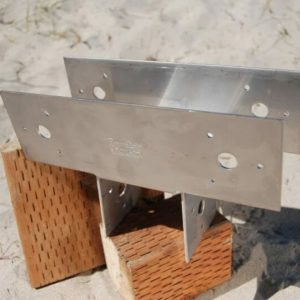 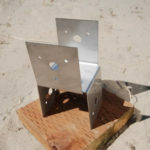 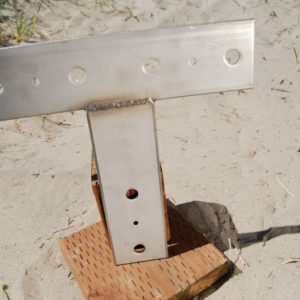 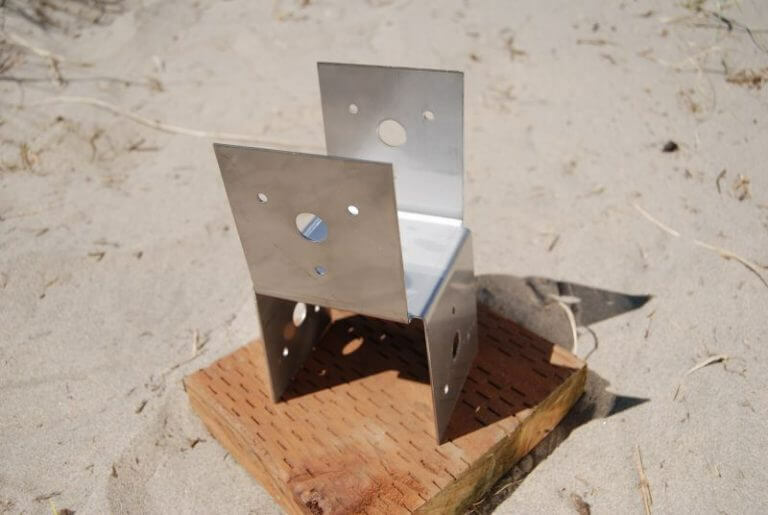 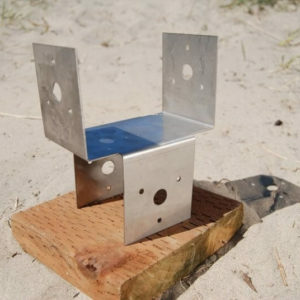 16ga 316L Stainless Steel Post to Beam Bracket for 4″x4″ dimensional lumber. 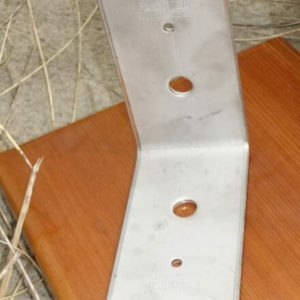 The overall dimensions for the top and bottom buckets are 3-1/2″H x 3-5/8″ID x 3-1/2″H x 3-1/4″wide straps. 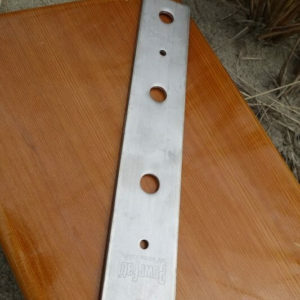 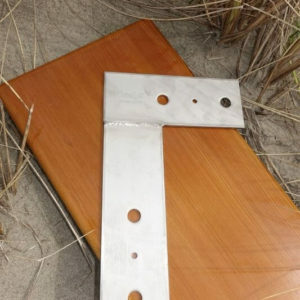 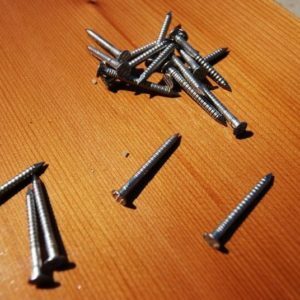 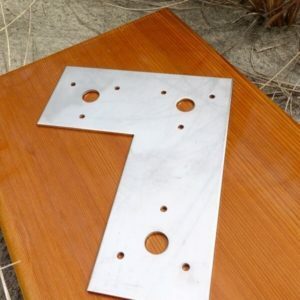 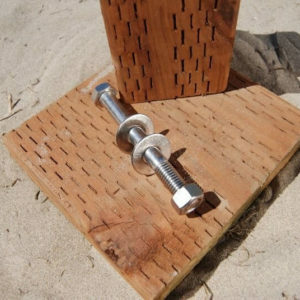 Each side of strap has one 5/8″ diameter hole and three 3/16″ diameter nail holes.